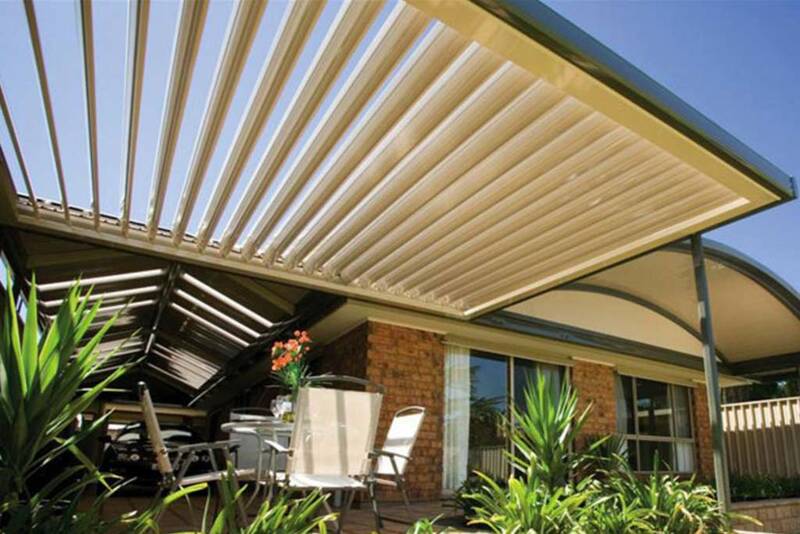 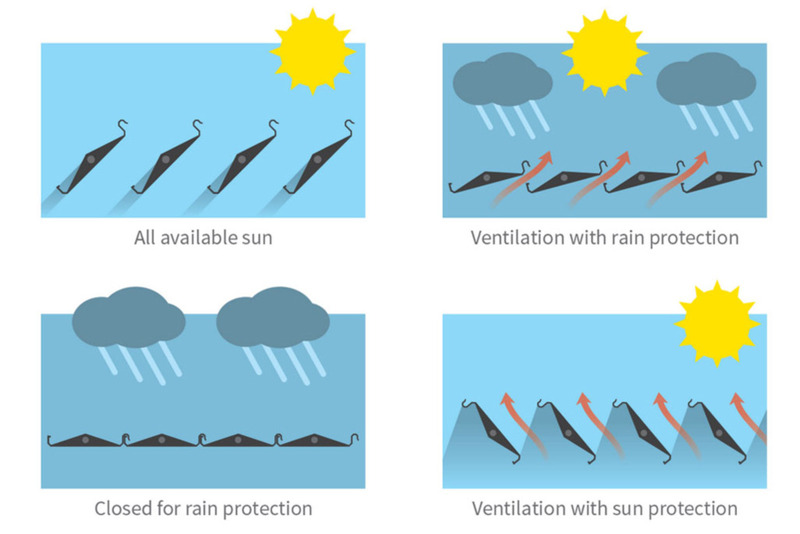 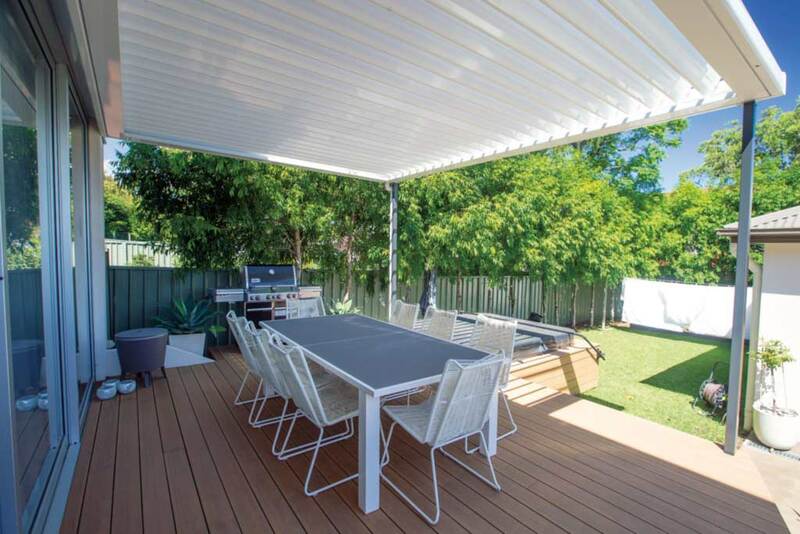 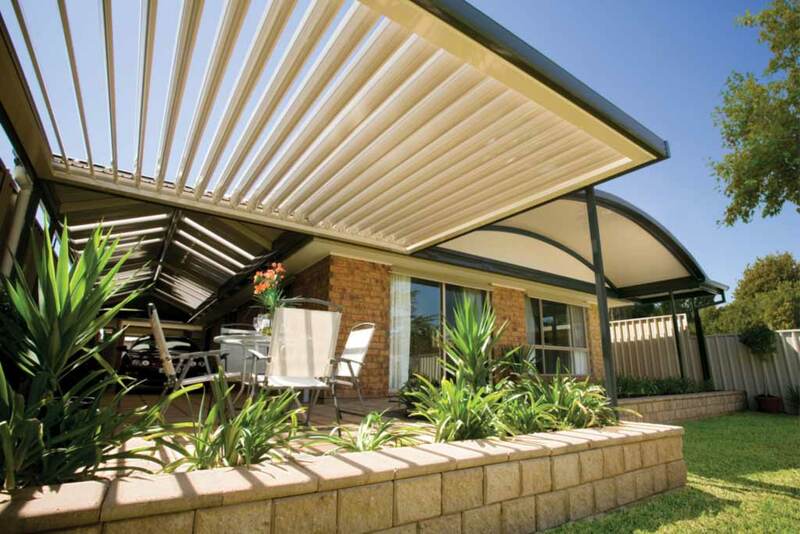 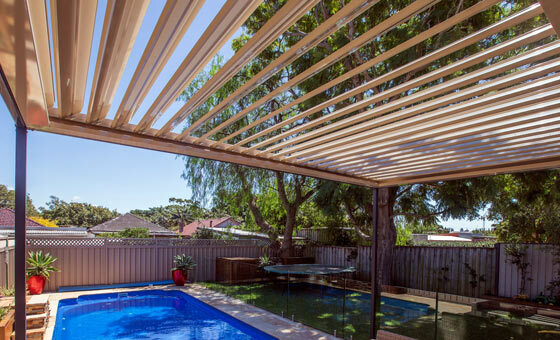 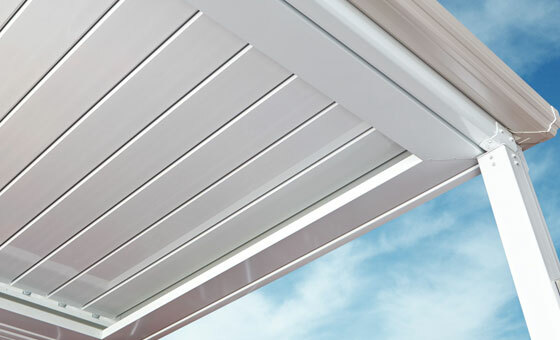 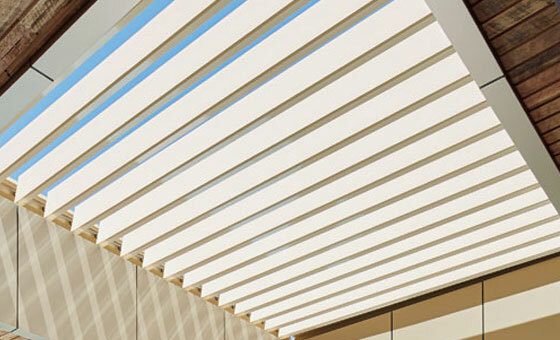 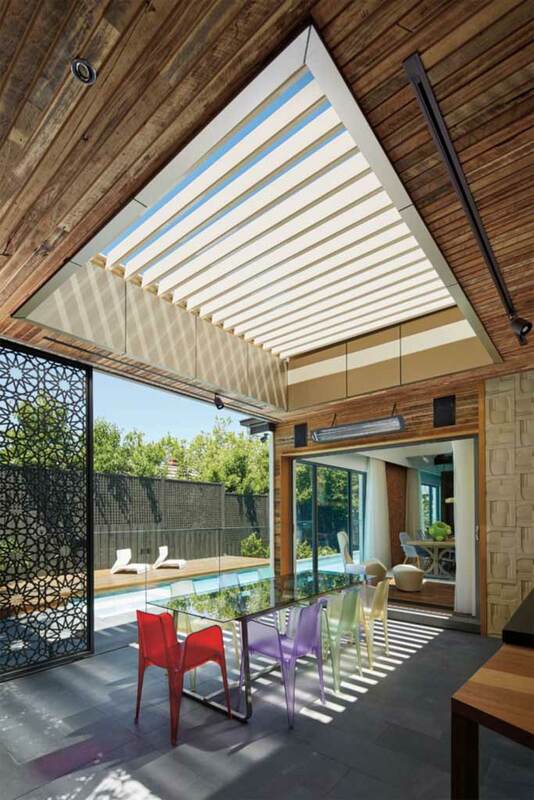 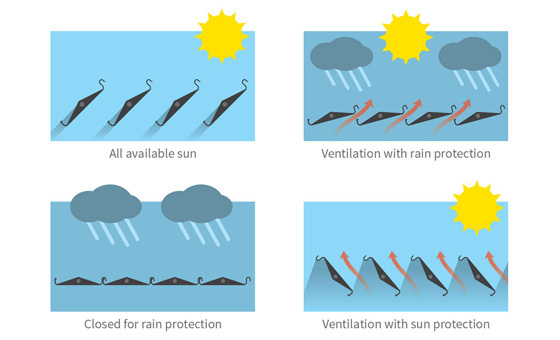 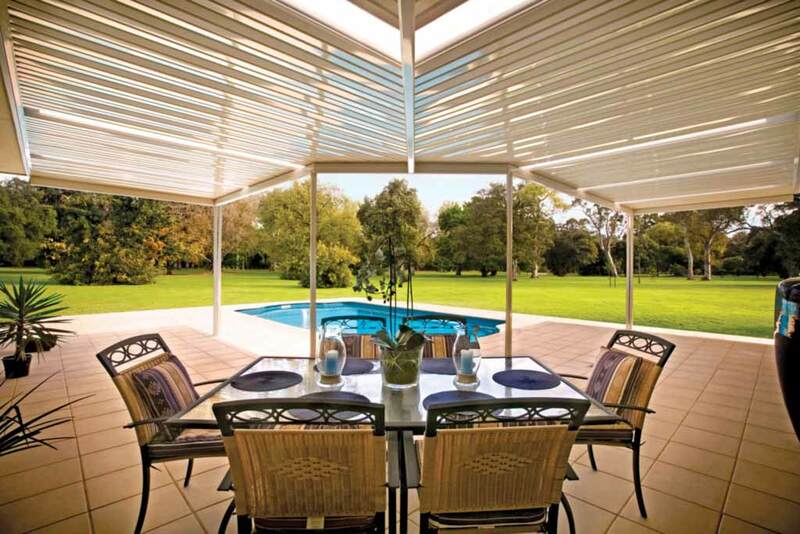 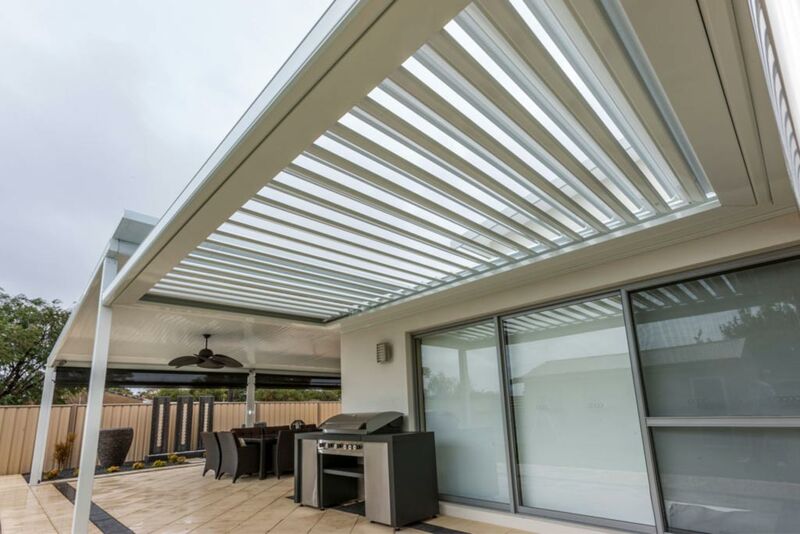 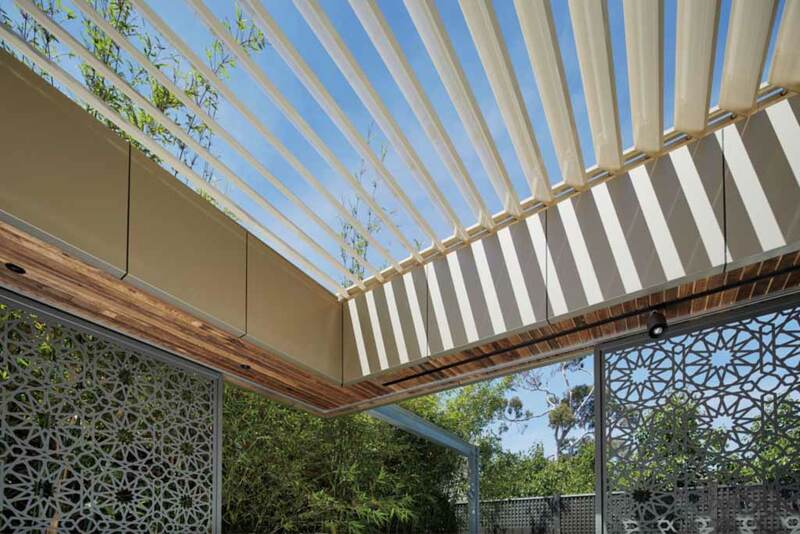 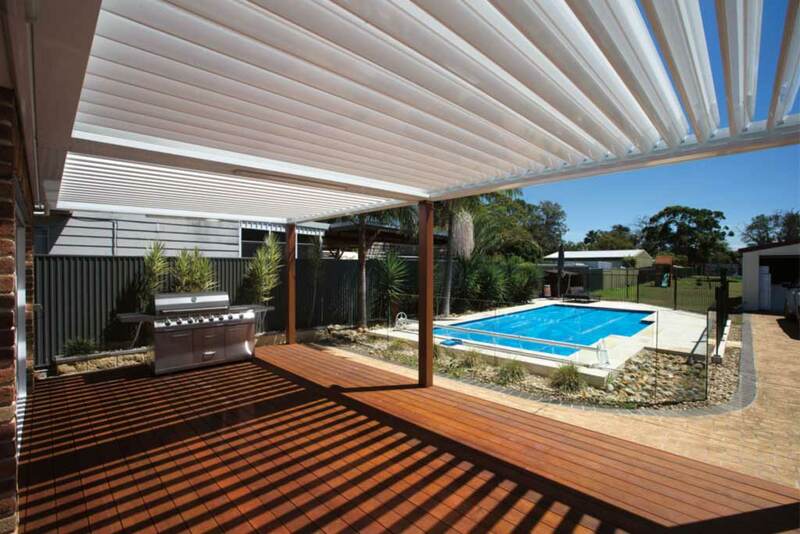 Stratco Outback Sunroof – Awnings, Carports, Pergolas, Verandahs and Patios control the weather with the innovative Stratco Outback Sunroof. 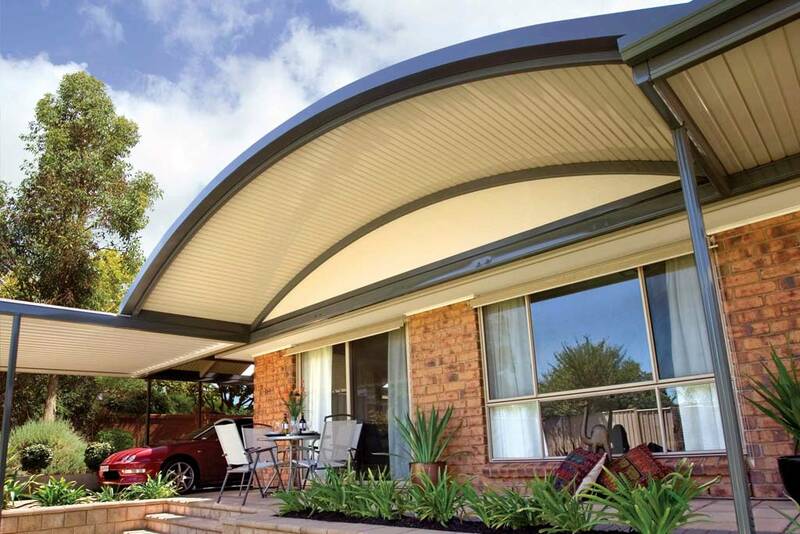 The versatile Outback Sunroof provides adjustable sun-shade and protection wherever you need it. 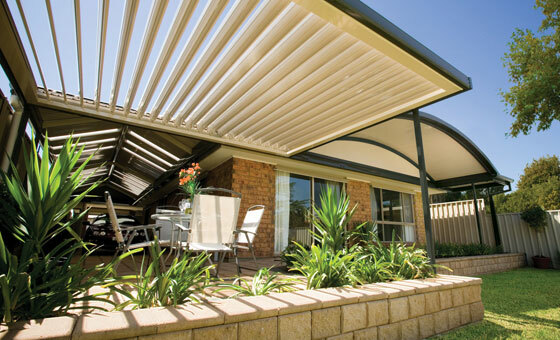 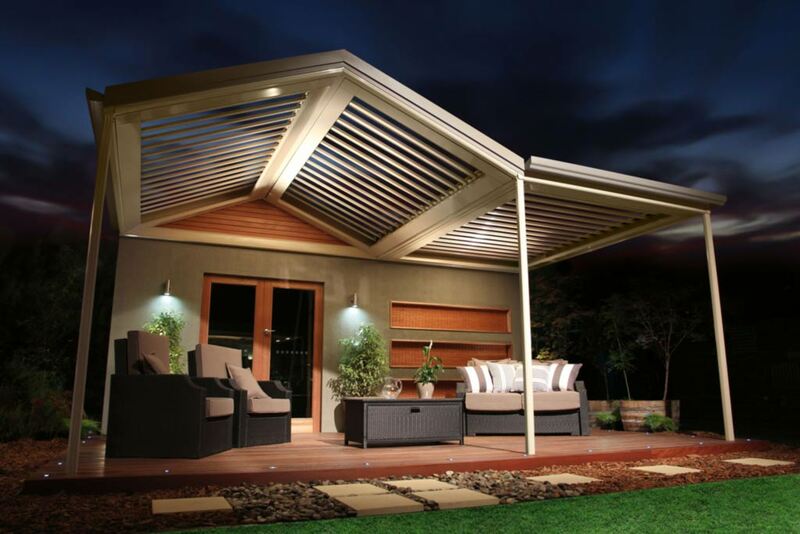 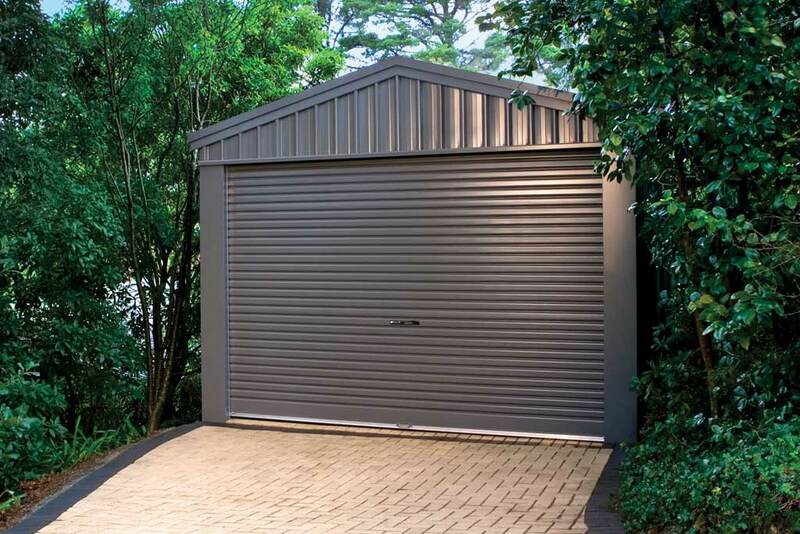 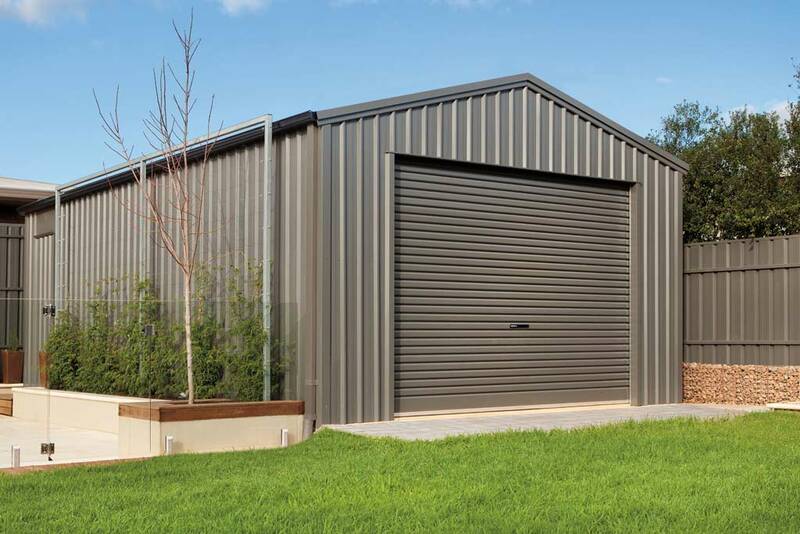 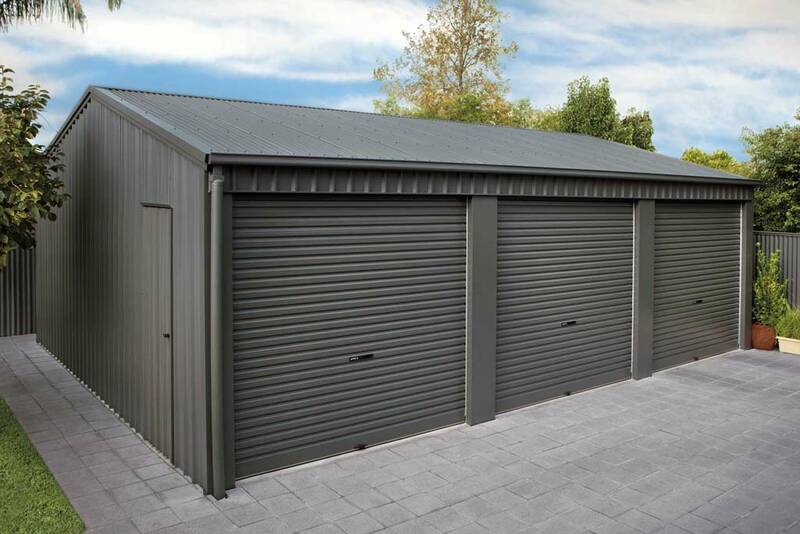 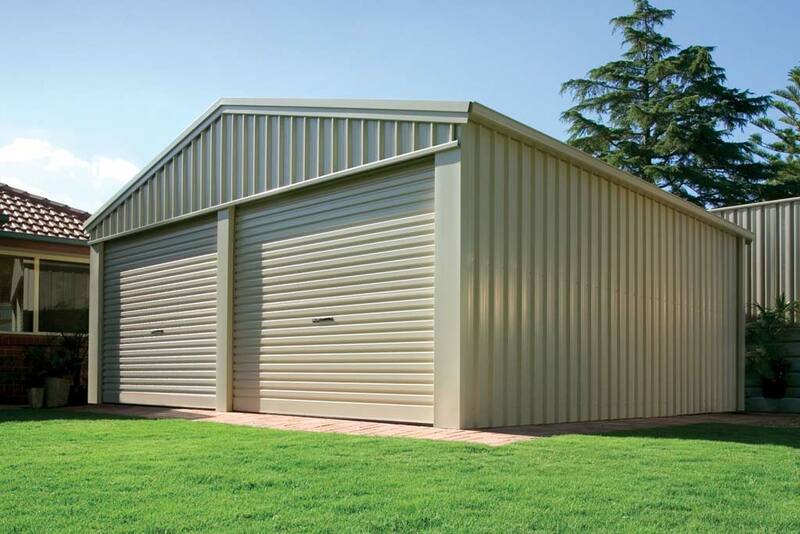 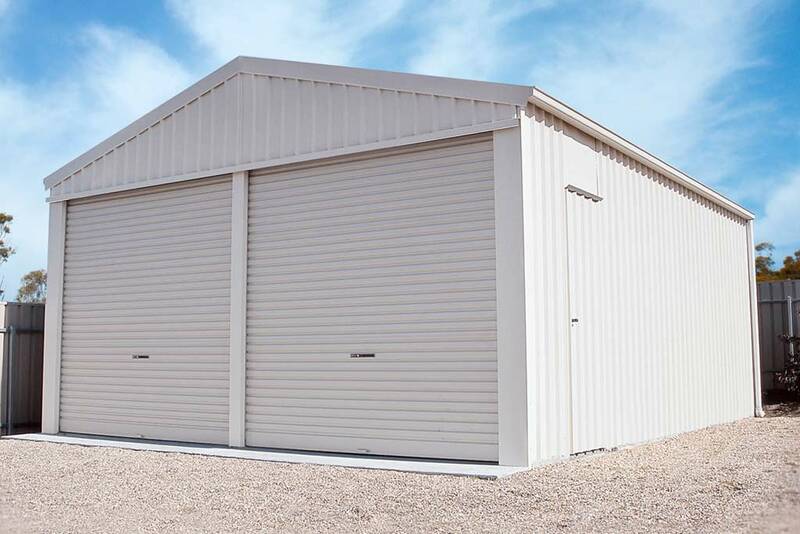 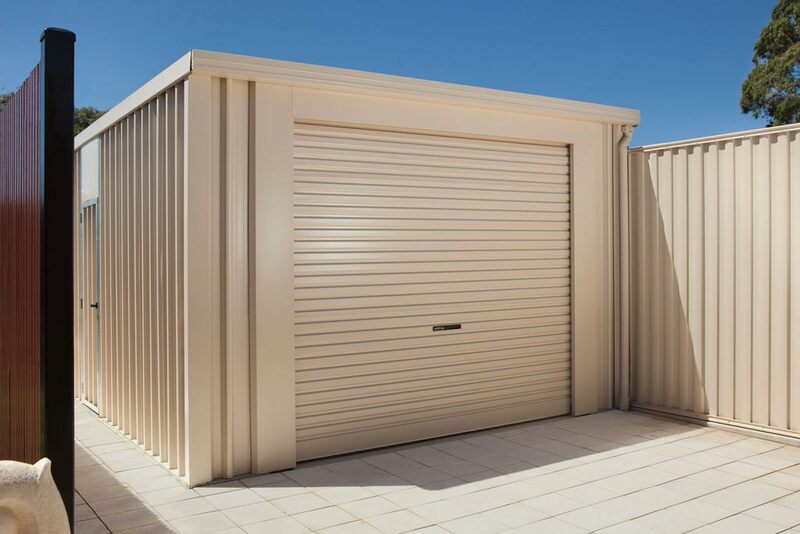 Combine it with other styles from the Stratco Outback range, or use the Sunroof on its own as an awning, pergola, veranda or patio. 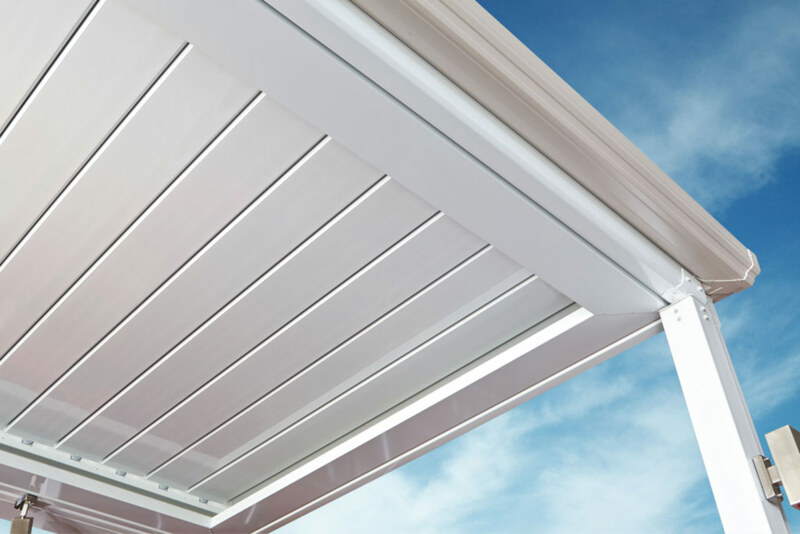 The Stratco Outback Sunroof can span up to 3.9 metres thanks to its strong, well engineered blades. 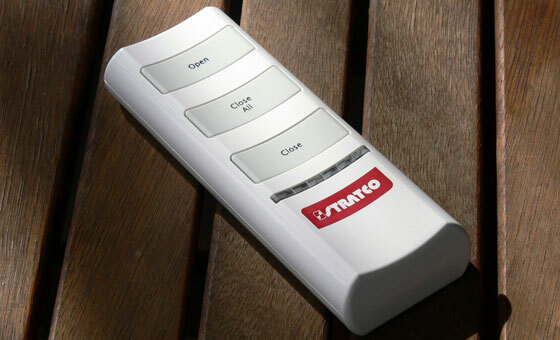 The pre-painted steel blades have a unique foam insert that makes them very rigid and helps insulate from any surrounding noise.